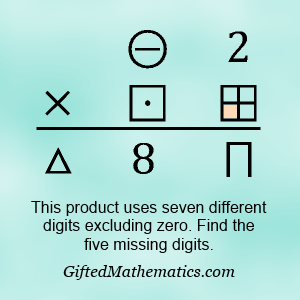 The product below uses 7 different digits, excluding a zero. Replace each symbol with the right digit to make the product correct. How many solutions are there? Now, if we did allow a zero, are there any more solutions?